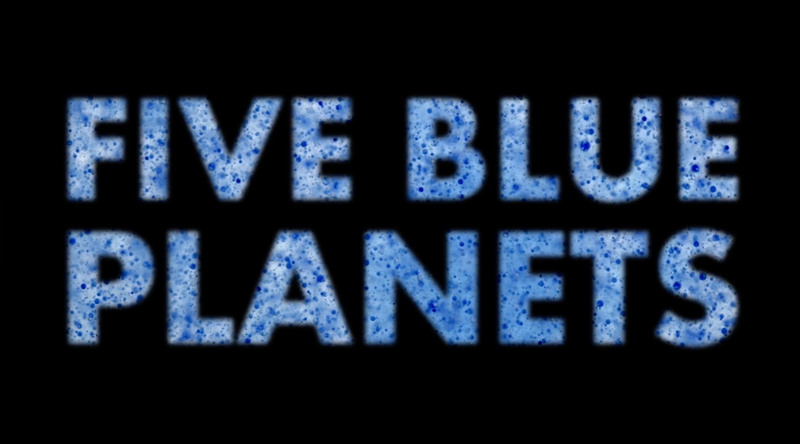 The latest instalment in a series of films of indefinite scale collected under the Microworlds banner, Christopher Brooks’ Five Blue Planets sees the UK filmmaker transform the raw materials of inks, paints, oils and water into distant ocean planets far beyond our solar system. After discovering that he somehow achieved these planetary creations without the use of visual effects, I felt compelled to delve further into Christopher’s production process. What prompted you to create a planetary scale film from macro images? I am fascinated by the plurality of worlds in our galaxy, and the tantalisingly little we know about them. 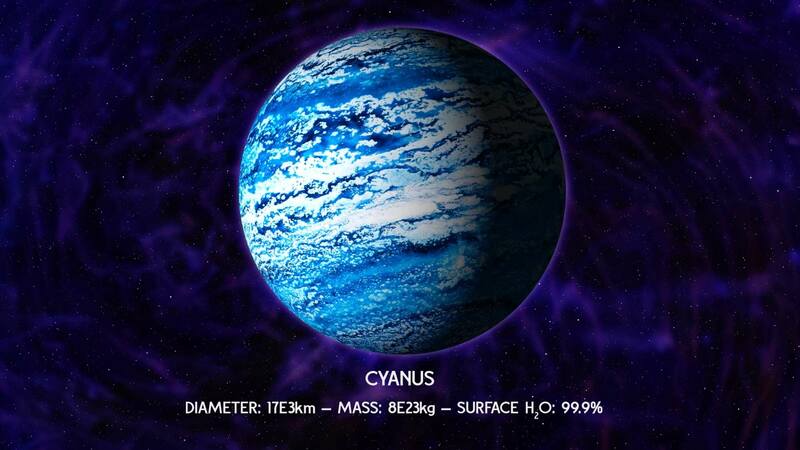 Since the first planet outside our solar system was discovered 30 years ago, over 3000 have been detected. I wanted to make a film that looked at the variety of possible planets out there through a very narrow scope – planets that are about earth sized, and almost entirely water. I thought that picking a very limited range and emphasising their differences gets across a sense of the huge variety that’s possible in our universe. I developed the concept by experimenting with the technique, looking at different ways I could combine inks, paints, oils and water to make planetary effects on my desktop. I then thought about ways to suggest what these could represent on a macroscopic scale, and the ideas for the unique flavour of each planet formed around that. I have been in production since October 2015, though most of that was spent considering effects and trying new techniques. During that experimentation phase did you discover any fundamental ‘rules’ about the combinations of your raw materials? How did these discoveries encourage your exploration of particular effects? Most of the effects have something to do with the rate at which one liquid blends with another. I varied the type and strength of agitation, the time, the order I added liquids, the concentrations and relative amount of liquid, and of course the liquids themselves. Oil will only mix with water temporarily, and even then it forms beads of oil in water (or water in oil), and water based dyes will slowly dissolve in water. Some paints separate, some are sticky, some are powdery, and I played about with various combinations to try to find interesting effects and rates of action. I built up a picture in my mind of how I would shoot from these experiments with each raw material (vegetable oil, several white and blue dyes and paints, and milk) leading me to think of combinations and ways to shoot them, such from above or from the side through glass, and whether to invert these vertically (such as the effect at 2:22). I wanted to make a film that looked at the variety of possible planets out there through a very narrow scope – planets that are about earth sized, and almost entirely water. When it came to shooting something in particular, I would already have experimented with an effect (or occasionally guessed!). I started filming a glass of water or oil, and then went about adding things, usually until I reached a sweet spot when things had got interestingly complex and before I ruined it by adding too much or making the water too murky! Sometimes I was tempted to keep fiddling but had to hold myself back, as touching or adding anything during a take would shake it massively in the magnified view of the lens, ruining the illusion of scale. Because I played around a lot in advance and planned each planet around a set of effects, I found a way to include most combinations. I would just keep fiddling until I had something workable. For example, the midiorb floatpools at 2:00 were droplets of blue dye in water, and my first experiments were a mess, where the oil and dye separated almost instantly. I agitated it harder and harder and used less dye in oil until the droplets were tiny, and had a little more duration. I did abandon my original effect for the planets in space, explained below. Test Image FBP was my first concept shot. I made the effect here by shooting into a glass from beneath with a thin layer of blue and white paint and water, and shining a light directly down through the liquid. I didn’t use this effect in the final film as I felt it looked either too glowy or too dull, and the contents were fuzzy behind glass, plus they didn’t have a three dimensional quality. What I did for the finished film was shoot flat plates of glass with liquid on them, with a sheet of blue paper underneath. The liquids cast shadows below, giving the sense of depth. Planes 1a and 1b show how this was done with smearing thin layers of milk, and planes 2a, b and c show how I built this effect up with blobs of oil paint and dye that I then broke up and left to clump in small crusts. I then spherized these planes in After Effects. 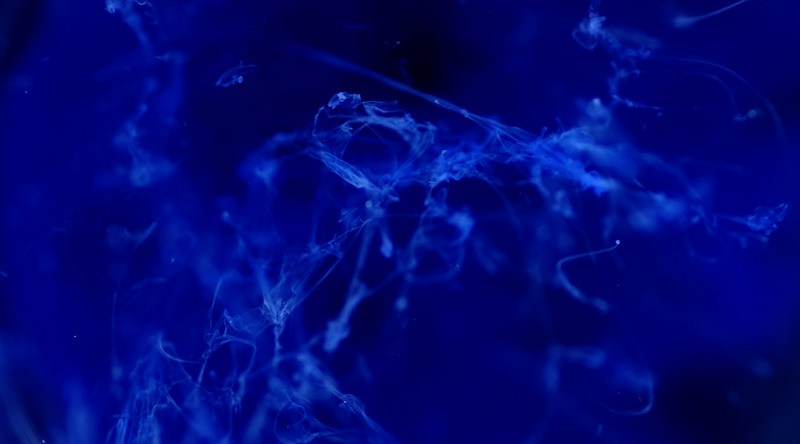 The background nebula is also ink in water, with blending modes used to make it somewhat transparent. What was the musical referential language you used with composer Kit Willmott during the back n forth of developing the correct soundscape? I don’t know music terminology particularly well, and perhaps that’s for the best, as I feel that Kit did a good job interpreting my vague emotive and descriptive language with his own creative space to work on the music. I tried to convey the sense of grandness and scale I wanted to convey with footage of very tiny things, which I think the music helps magnificently with. But I mainly said prosaic things like “for Ultramarinus (0:20 to 1:14): Tranquil with underlying power” and “for Caerulus (4:18 to 5:00): Crystalline and (later) gloopy”. We went through a couple of iterations where my direction became comparative. I’d say things like, “sadder here, warmer there, less busy later” and like a champ, Kit interpreted my thoughts in a way that I’m very pleased with, while also surprising me with many wonderful ideas that changed the way I looked at some parts of the finished film. I feel, for example, that the finished piece gives the film a sense of searching and longing that struck me much more strongly than when watching the film before music. Could you explain the practical reasons for working with reversed lenses? I shot on a Pentax K-3 DSLR camera with changeable lenses. Normally, a lens focuses light in front of the camera from a distance of your choosing onto the camera’s sensor a few centimetres behind the lens – it takes a big scene and makes it fit onto a sensor the size of a stamp. If a lens is placed on a camera in reverse you find it focuses on everything a few centimetres away, it takes that stamp sized area and projects it gigantically onto the sensor. I also used ‘true’ macro lenses, which are intended for use the right way around to focus on very nearby objects, but I like the edge blurring effect that reversed lenses achieved as it draws the eye nicely to the middle of the frame (this edge blurring is an optical defect caused by using the lens for a purpose it wasn’t designed for). Generally, older lenses work better for this, as they don’t have any electronics to confuse by being round the wrong way, and have fully manual focus and aperture controls so I could set them up as I wished, so the two lenses I reversed were a Pentax-A 50mm f1.2 and a Sigma macrowide 24mm f2.8. I used both somewhere around aperture f8 to f11 to give me enough depth to my focus plane. 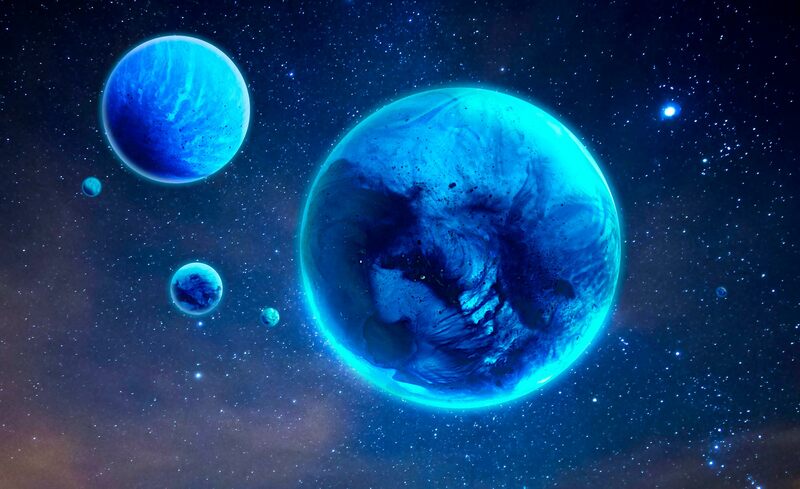 Five Blue Planets is part of your Microworlds series, do you already the next instalment in the works? Any other new projects on the way we should look out for? I’m currently working on preproduction for a feature film, so don’t have any grand plans for more microscopic adventures soon. I would like to stick to the planetary theme on my next one though, perhaps with something in more colours like Jupiter.